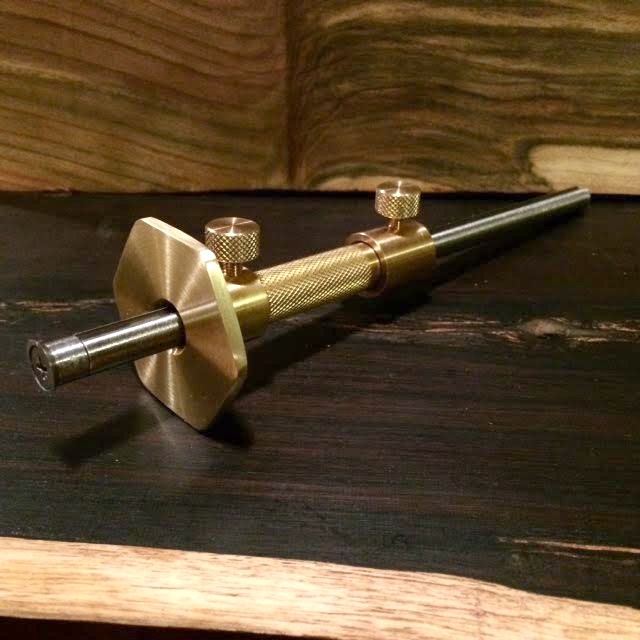 An original design by Florip Toolworks. Your cut is only as accurate as your layout line. NOTE: DUE TO HIGH ORDER VOLUME CURRENT WAIT TIME FOR A MARKING GAUGE IS AROUND 65 DAYS. 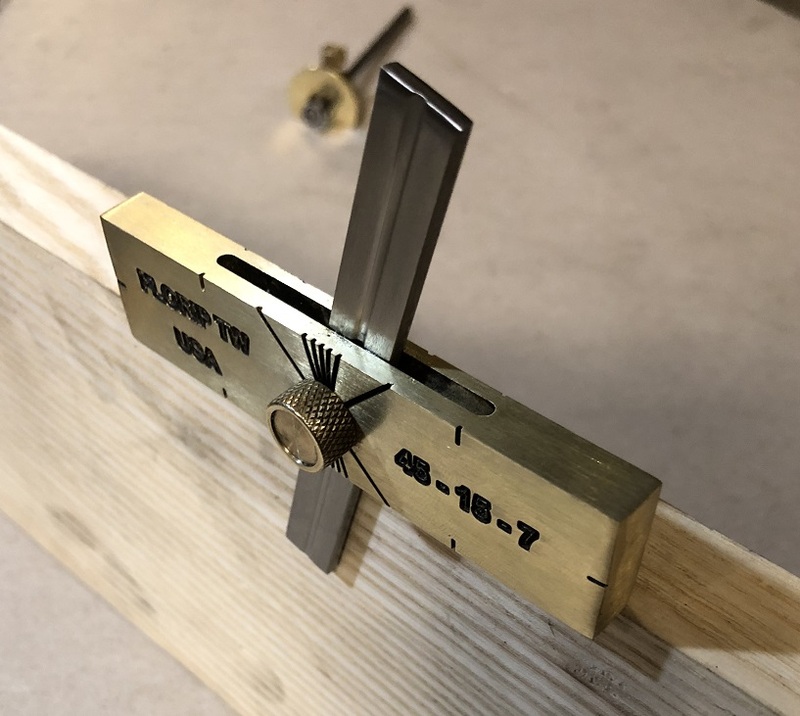 Pre-Orders for the new dovetail layout tool! Will begin shipping mid February. First…..I feel that many standard dovetail layout tools fall into the category of “one trick pony”. I don’t see the value in buying a separate unit for each traditional dovetail angle. Unless you’re laying out dovetails, they’re not good for much. Second….I regularly use an angle gauge to transfer lines. All gauges that I own are functional from the face side only. 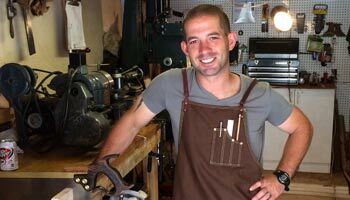 In order to transfer an opposing line I would need to reset the gauge or try to half rest the gauge on a flat edge. 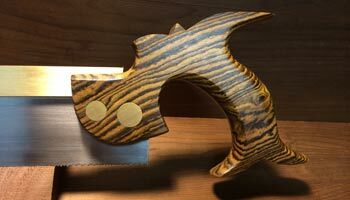 Third….I love making high quality/functional woodworking tools. There are linear marks representing 90 degrees, 45 degrees, 15 degrees and 7 degrees. AS WITH ALL MY TOOLS- IF YOU’RE NOT COMPLETELY SATISFIED, SEND IT BACK FOR A FULL REFUND. Flat on the fence allows the user to strike a line on material 1/8” thick while it is supported on a work surface. Also prevents rolling. Fence is counterbored to allow full retraction of the cutter. Shaft material is full hard phosphor bronze….it’s good stuff. Small fence - Would allow the gauge to pivot as I marked my work. Round fence - Allowed the gauge to roll off the workbench. Poor fit - The cutter would come loose from the shaft and the fence had a sloppy fit. Overall feel - I wasn’t confident in the tools ability to put down consistent layout lines. 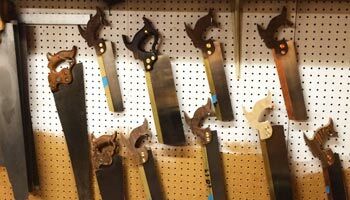 Below is a list of features that make up the Florip Toolworks gauge. Micro adjust with 5/8” travel. 2” wide fence to provide a solid footprint on your workpiece. 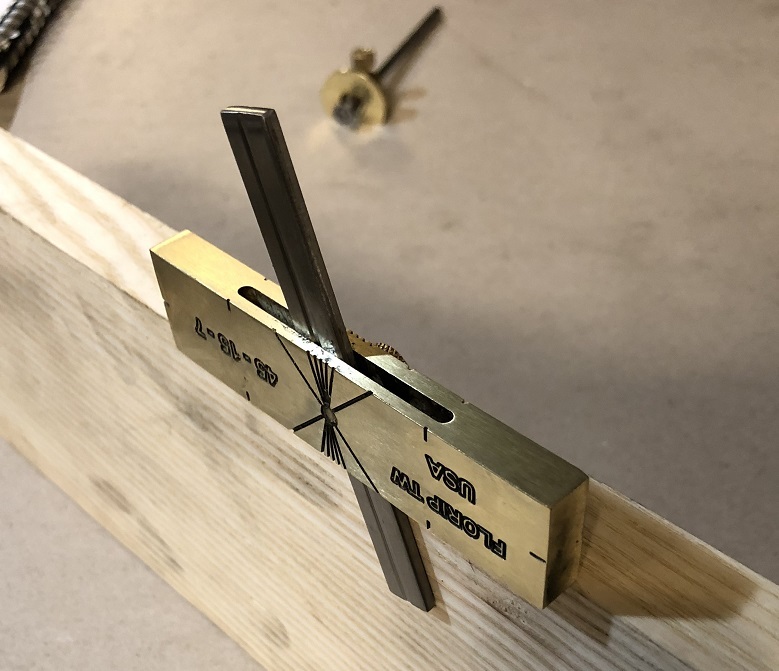 Hexagonal fence to prevent the gauge from rolling off the bench. With just under 9” of length, this marking gauge will tackle most of your layout needs. Easy to sharpen O1 tool steel cutter.